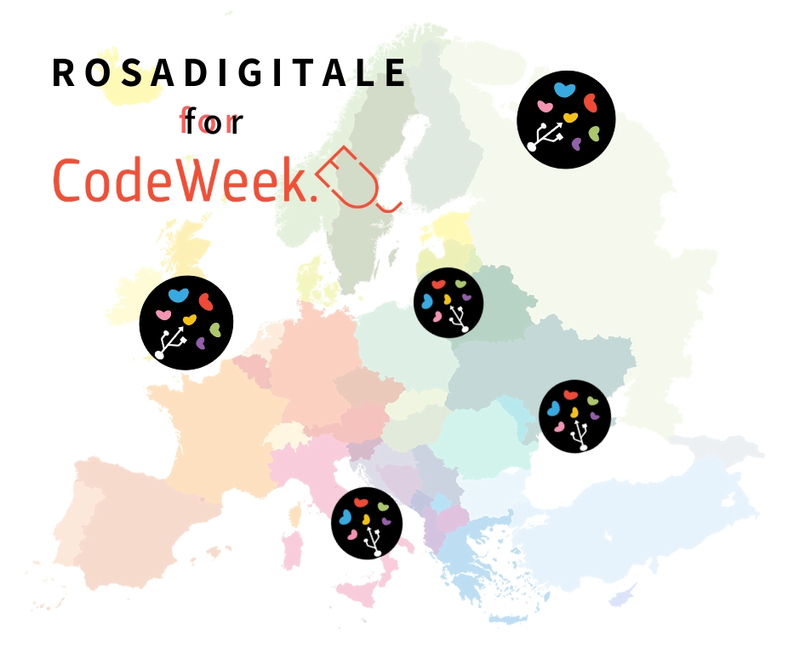 Take part in Code Week with Rosadigitale! “Rosadigitale for Code Week” is an online event to raise awareness of gender equal opportunities in the technological field organized on the occasion of Code Week by the team of Rosadigitale and No. 1 Don Lorenzo Milani institute of La Spezia. Schools of all levels and individuals can participate by freely modifying or enriching the project created on the Scratch site. You can remix by adding a simple photo, sentence, music/song that characterizes the country in which you reside or include many other things to your liking. Click on the following link to participate: https://scratch.mit.edu/projects/251559601. Use the tag: ROSADIGITALE and register your remix on the Code Week map! To register your remix which will be valid as a Codeweek event, consult the guide at the following link: https://codeweek.eu/guide/. The event can be inserted on the map until October 21st, but it is possible to do it according to your priorities until December 2018. Using the following Code Week 4 code: cw18-qVGIT you will receive the certificate of excellence that will be sent to all participants.